Every day we pass bridges, whether it's a foot bridge, a highway overpass, a span over water, or a viaduct over a valley. We pass on these structures without even thinking of the engineering genius that went into their design and construction, let alone the science behind their strength. Beam, truss, arch, suspension: each type of bridge varies in design, distance, and their ability to negotiate the forces of tension and compression. Depending on the purpose of the bridge, how much weight it will need to hold, and how far it will need to traverse, engineers can figure out which bridge is the right bridge. In this classroom experiment from Thinking Out of the Beaker's Video Laboratory Series, created by Jeffrey Major, a science teacher in Southwestern Ontario, students are tasked with answering the question: How do design changes affect a load bearing structure? Before bridge construction begins, students are asked to predict which bridge design they think will be able to withstand the largest load. A bridge uses tension and compression to balance itself and keep it standing. These two opposing forces work together to create an equilibrium in a bridge's structure. A bridge will buckle if compression, the force pushing down on it, becomes too much; it will snap if tension, the force pulling on it, overwhelms. A single index card (or strip from an index card) is placed across two supports. 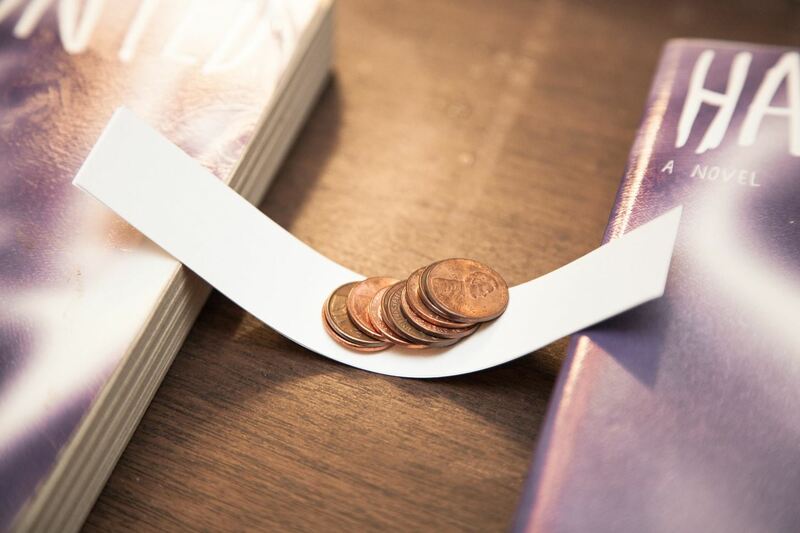 Then, pennies are added one at a time until the bridge collapses and touches the tabletop. In this case, three pennies does the trick. Three strips cut from an index card are stacked together and placed across two markers. Again, pennies are added one at a time until the bridge collapses and touches the tabletop. In this case, three pennies also does the trick. 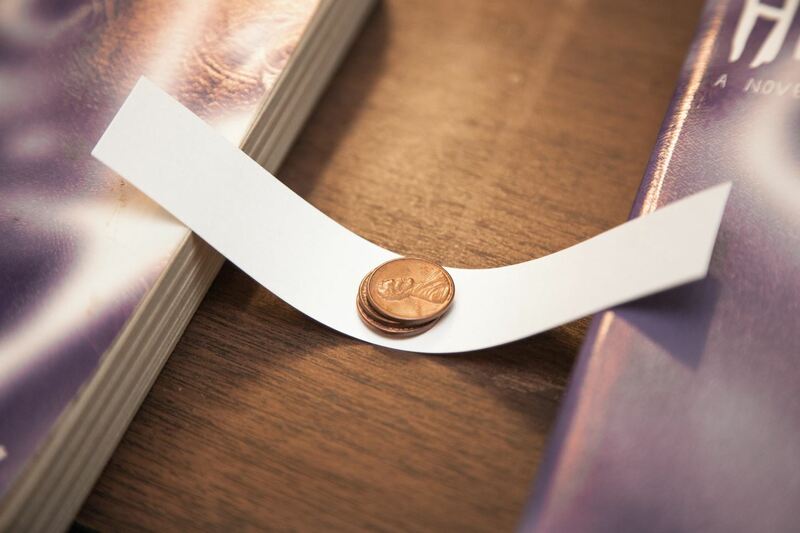 Three strips cut from an index card are glued or laminated together and placed across two markers. And yes, those Abe Lincolns are once again stacked one by one until the bridge falls and touches the tabletop. This time, ten pennies does the bridge in. 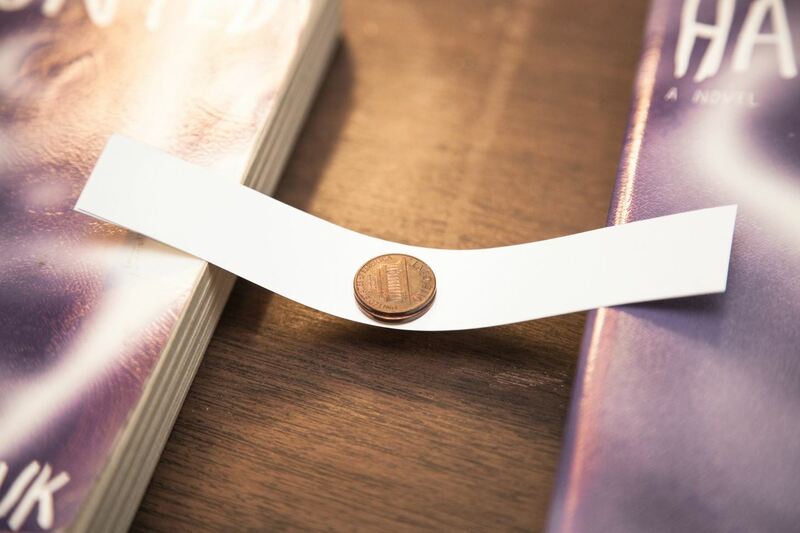 An index card is folded into a channel and placed across two markers. 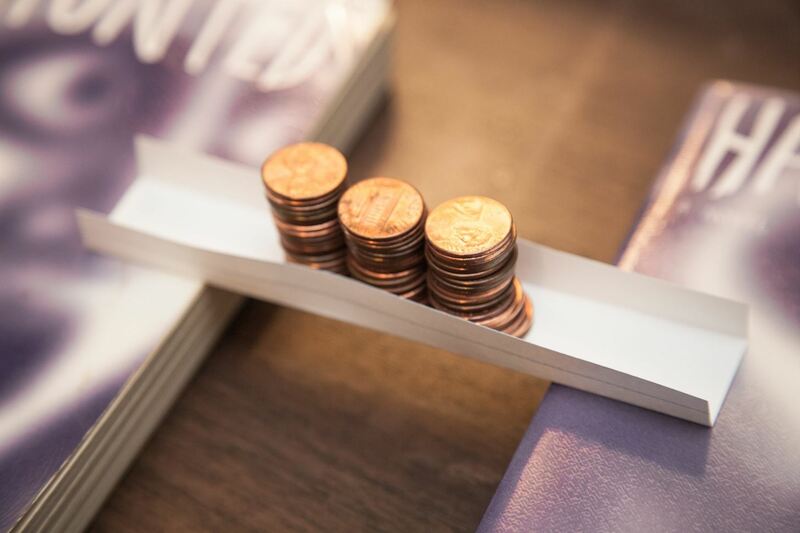 This time, stacks of pennies are added one by one until the bridge breaks or until you run out of pennies. While only 45 pennies can be seen below, the bridge can handle much, much more than that. And the winner is Method 4, proving that design changes do have an effect on load bearing structures. 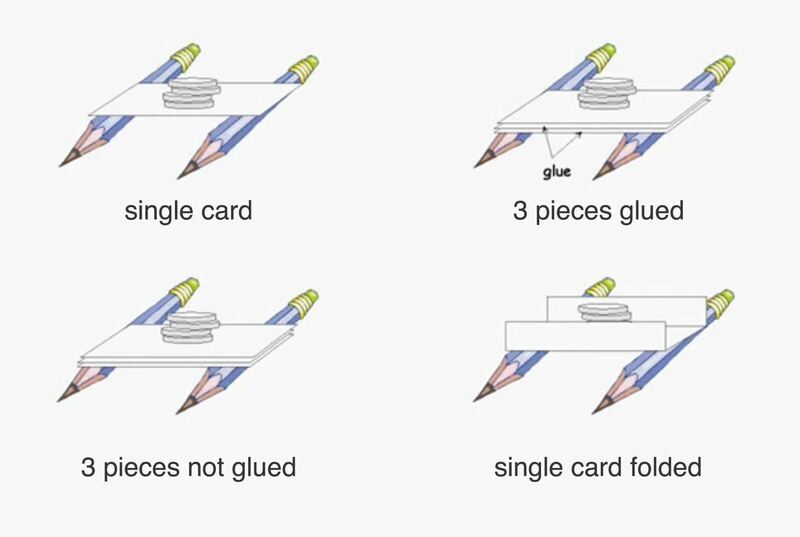 By simply folding the index card into a channel, the bridge was able to withstand more than seven times its nearest challenger, and likely more. In the video, the experiment ends because the load becomes too unstable and crashes. The bridge itself remains standing. This is a fun, simple experiment that can easily get kids excited about science and looking at the world around them through a different lens. Bridges! The 3 bonded sheets do not have accurate results because the paper is strengthened disproportionately based on the structural strength the hardened glue provides. Repeat with the paper bonded using staples so that the glues rigidity will be factored out of the test results. Can't wait to try this with my 8th graders tomorrow!